GigaDevice, founded in Silicon Valley in 2005, is a leading fabless company engaged in advanced memory technology and IC solutions. The company has successfully completed the IPO at Shanghai Stock Exchange in 2016. 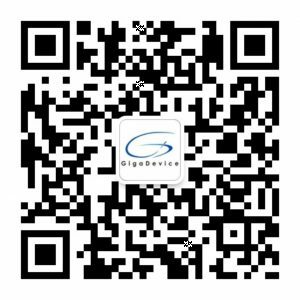 GigaDevice provides a wide range of high performance Flash memory and 32-bit general-purpose MCU products. GigaDevice is among the companies that pioneered SPI NOR Flash memory and is currently ranked number three in the world in this market segment with more than 1 billion units shipped every year. Since 2007, GigaDevice has filed 600+ patent applications with 200+ patents granted. More than 55% of its employees are in research and development, which continues to differentiate our products from competitions in the market. The GigaDevice management team embodies leading semiconductor industry experience from renowned memory companies in California’s Silicon Valley, Korea, and Taiwan. GigaDevice is ISO9001 and ISO14001 certified by DQS. GigaDevice currently produces a wide range of SPI NOR Flash, SPI NAND Flash, and MCU for use in embedded, consumer, and mobile communications applications. GigaDevice operates a manufacturing model based on strong relationships with: foundry, assembly, and test subcontractor partners. GigaDevice believes this well-defined fabless manufacturing model provides us with a competitive advantage over the conventional fabrication-based Integrated Device Manufacturers because the capital equipment expenditure to maintain advanced memory process technologies is beyond the market return of many IC memory market segments. The consistent investment in advanced equipment by our foundry partners and their rapid growth in 12” wafer capacity are key factors in our success over our competitors.